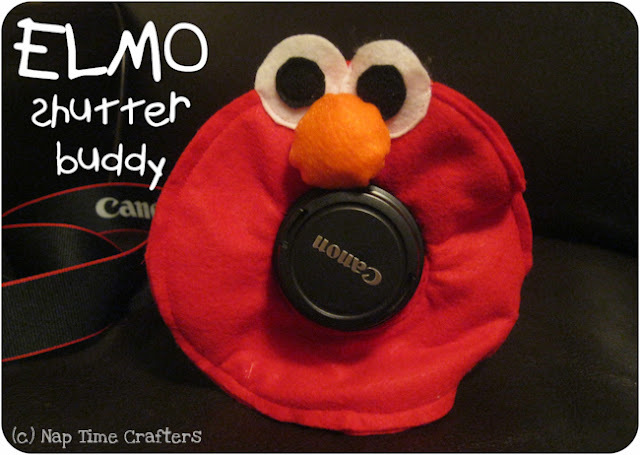 Elmo Shutter Buddy Tutorial - Peek-a-Boo Pages - Patterns, Fabric & More! Something about that red furry monster makes all little kids happy! Which makes Elmo the perfect shutter buddy for any photo shoot! It’s so much easier to get a natural smile out of a kid who is having a good time. 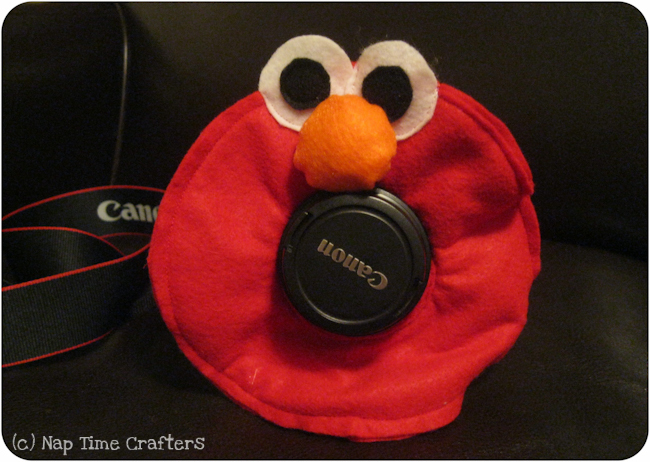 And this little Elmo shutter buddy has a squeaker hidden inside which works wonders for getting the attention of a baby! 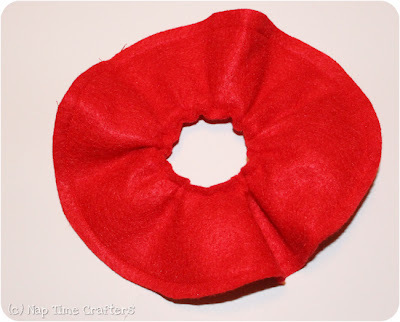 I made mine entirely from felt which is cheap and easy. 1. Cut 2 red circles for the outside. The inner cut out should be wider around than the lens so you can gather it in a bit with your elastic. 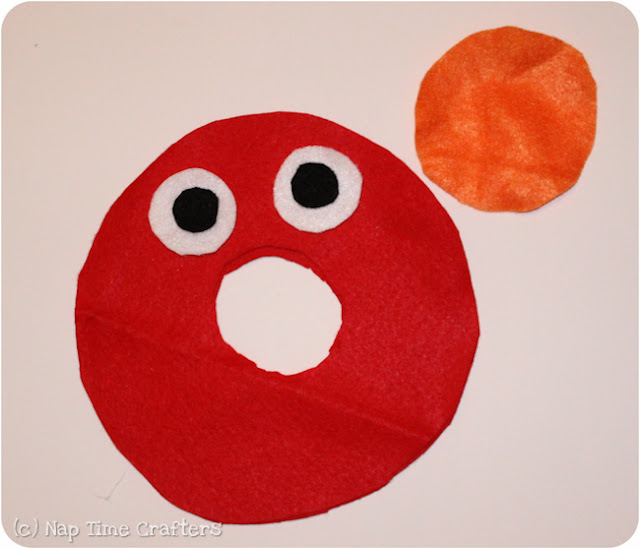 You also need circles for the eyes and nose. 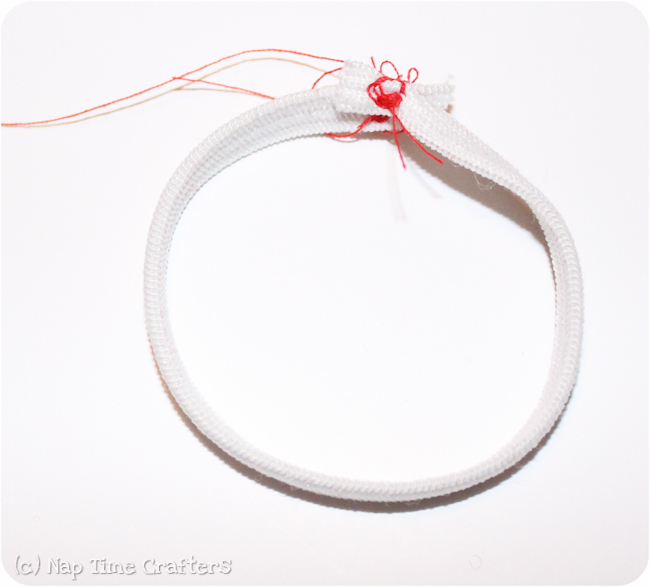 Sew your 2 circles together around the inner circle and then slide the elastic over so it’s in between the 2 circles. 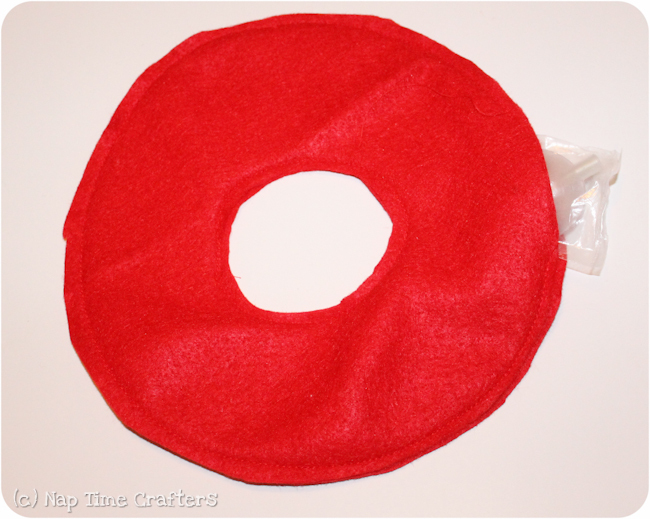 Sew most of the way around the outside and then slide your squeaker in. Sew the gap shut. 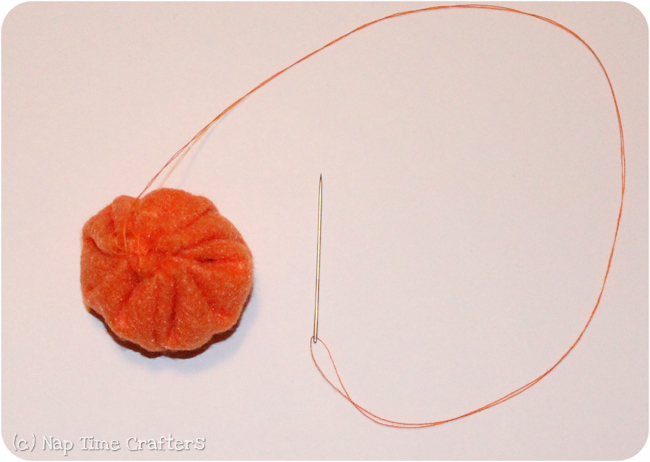 Sew a running stitch around the outer edge of the nose. Pull on the threads to gather and add in a bit of stuffing. Pull tight and knot off. Topstitch on the eyes and then hand sew on his cute nose and you’re all set! Best tool ever! The one you gave me is absolutely GENIUS!! What a cute idea! 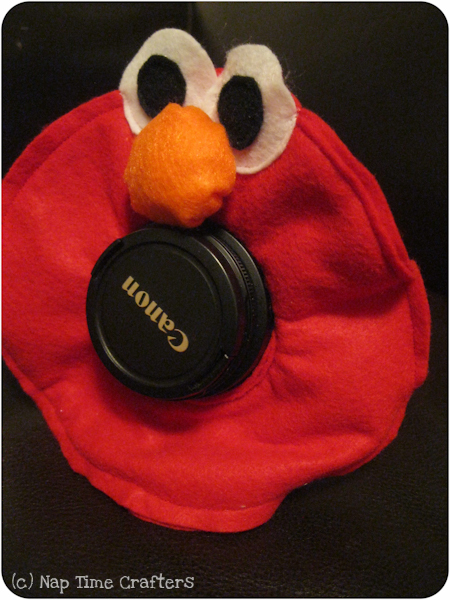 My kids are so sick of my camera already. This would make it fun for them.